Ultimate Fighting Championship (UFC) president Dana White has given his take on T.J. Dillashaw’s EPO use. Dillashaw was suspended for one year by the New York State Athletic Commission (NYSAC) for a failed drug test following his 32-second TKO loss to Henry Cejudo. Dillashaw vacated his UFC bantamweight title as a result. 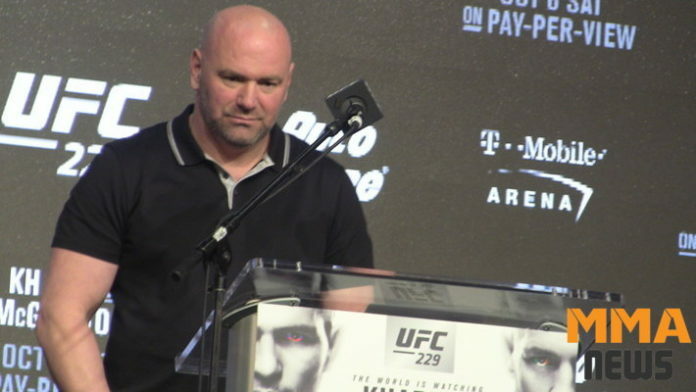 The U.S. Anti-Doping Agency (USADA) announced that EPO was found in Dillashaw’s system and the former 135-pound king has been hit with a two-year sanction. Dillashaw won’t be eligible to return until after Jan. 18, 2021. Cejudo and Marlon Moraes will do battle for the vacant bantamweight title at UFC 238 on June 8. Do you think T.J. Dillashaw will ever get back to an elite level?